Rebel teen Ellie Simpson couldn’t wait to leave her rural Oregon homeland, a sliver of the former Siletz Indian Reservation. Now she’s back home as Ellie Carlisle to bury her only child, seventeen-year-old Logan. But Ellie doesn’t want to stay here. She lost her belief in Native culture and traditions years ago. She’s uncomfortable with reservation life, despondent in her grief. She’s angry at herself for failing to prepare Logan for rez dangers. She’s tortured by her secret. Will her grief cripple her? Or will messages from Logan bring her back to herself? Ellie’s an experienced investigator who worked with defense firms in Montana and Chicago, but will she summon the will to identify the ghouls who dig in her people’s graves for bones and artifacts? This is no ordinary task, Ellie tells the tribal council as she discusses investigating the looters. She could also investigate the wrongful conviction of her cousin sent to prison for the murder of Ellie’s aunt. But can she prove the murder is tied to the desecration of the tribe’s burial grounds? Can she stop the thieves before they dig up more graves—even Logan’s? 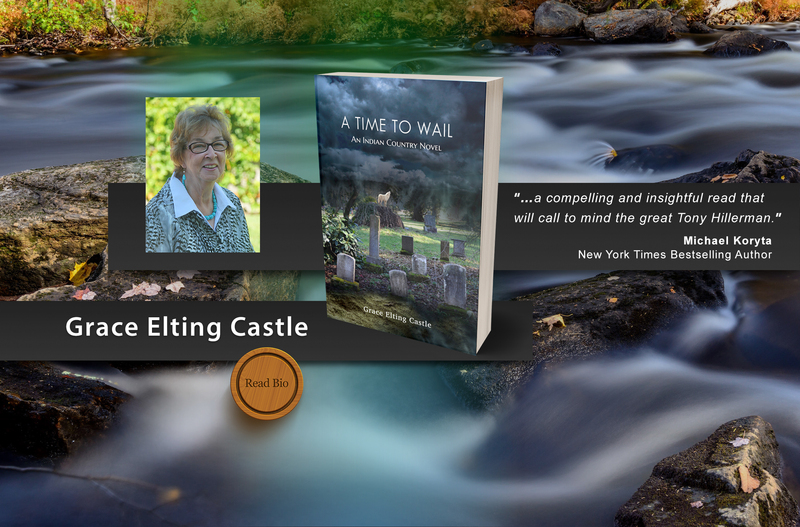 In A Time to Wail, An Indian Country Novel, Grace Elting Castle sets Ellie’s story within the rural beauty of the Siletz Valley and blends in the history of the tribes gathered together as the Confederated Tribes of Siletz Indians.